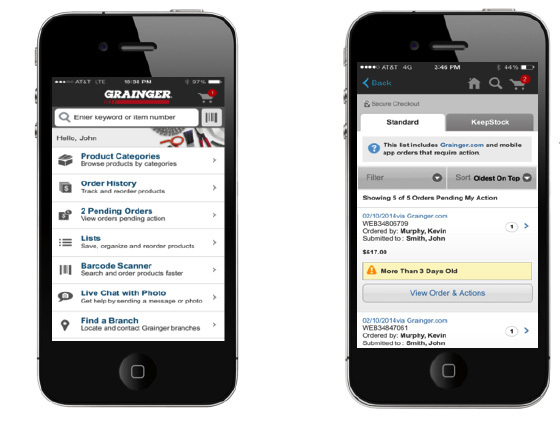 The Grainger mobile apps make it possible for you to review or approve orders via OMS, even when on the go. If your organization has field employees, they can place orders directly from their job sites. Even approvers and reviewers are no longer tied to a desktop in order to view, review and approve an order.